Musicians who sell their wares on the Internet don’t need to go through record labels and contracts. They offer their music directly to fans. With all of the new technology and easy Internet sales vending opportunities available today, more musicians think about selling their music, not through a store of CD sales and large music label. For those who are ready to tackle this kind of new entrepreneurial opportunity, here are some ways to succeed and to sell music online. The biggest and most recognized retailer is iTunes. US Music Distribution, SongCast, Getonic, Tunecore, CD Baby and more. You may not be able to sign up in India for a service that only works in the United States, for example. Make sure you are eligible for the service. In order to sell your music on iTunes, Amazon, Spotify, Google Play, etc., you will need to establish a digital music distribution deal with a digital music company that specializes in distributing music for indie musicians. Becuase major digital retailers such as iTunes, Amazon, Spotify, and Google Play do not usually do direct deals with independent artists. Keep an eye on things like royalty collection, which will detail how much money the company will pay you for selling your music. There are sometimes premium and free versions of a service, and they could offer different rates. Most of the online sites offer equitable deals, but be sure to read all details of an agreement to make sure you like the terms. You can start with a simple blog-type page, such as offered by WordPress or Blogger. Get onto the web with the viral video. 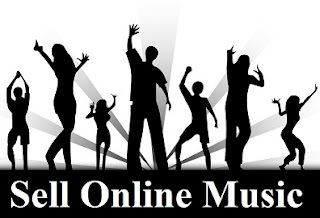 Simply having your music available online will not usually get people to buy. Some things you can do to make a good site: upload crisp pictures of your music or your shows, commission (or make) a beautiful, catchy logo. Try to get publicity in the local media of your site. Reach out to web publications. Make contacts with local businesses. Spread the word with your friends and family. Give away free CDs, give out invitations to shows, offer to play at your friend’s birthday party.